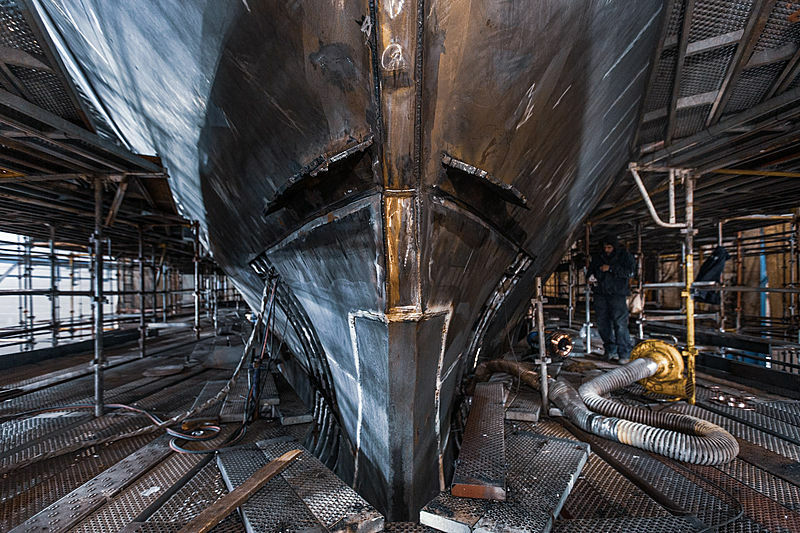 he team behind the 182.9-meter research expedition vessel REV has posted a construction update on the project. 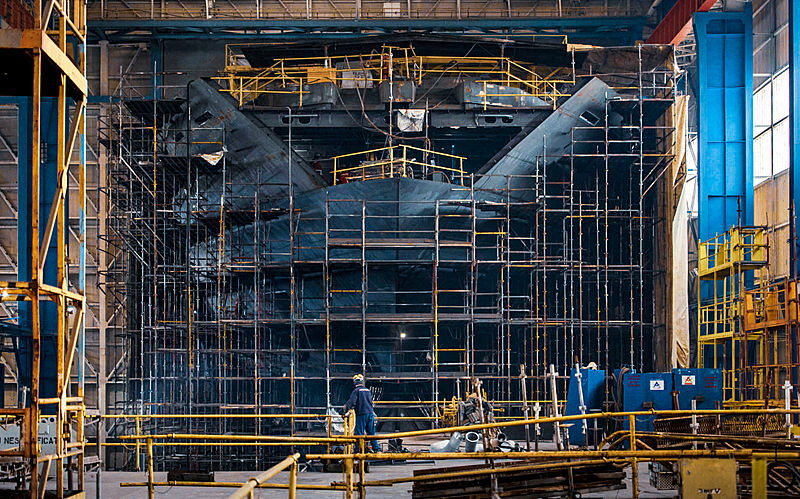 This world's largest superyacht is taking shape at the VARD shipyard in Tulcea, Romania. Week by week the REV vessel is slowly coming together. 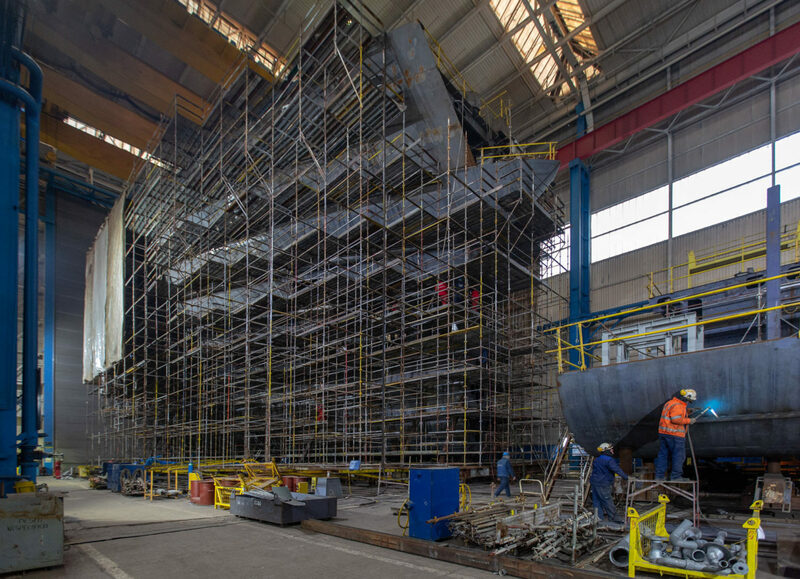 It currently sits in 6 large blocks and will be assembled over the coming months into one large superstructure. The ship is scheduled for delivery early 2021. 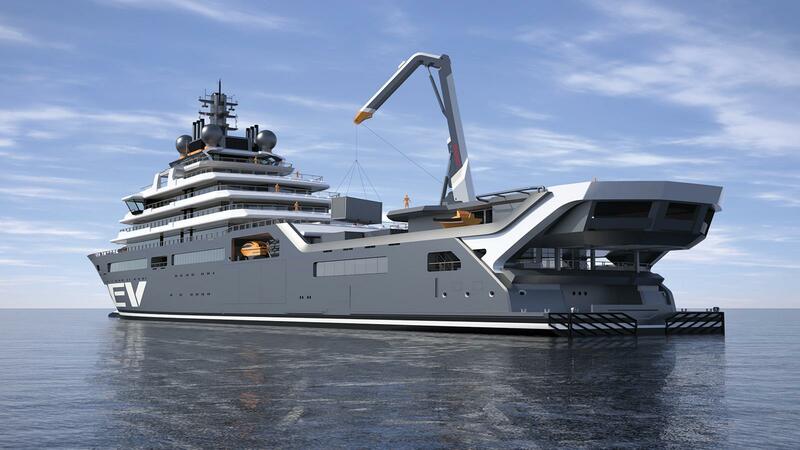 George Gill the Director of Miller Compton Maritime Ltd was asked by Norwegian businessman and owner of the project Mr Kjell Inge Røkke in May 2016 to develop the enormous 183-meter research expedition vessel which is expected to secure the title of the world’s largest yacht, both in terms of length and volume. REV is a very important project for all Norwegians. As Norway is one of a world-leading maritime nation and has the opportunities for taking on a global leadership role for exploring and taking care of the ocean. The Prime Minister of Norway supports the vision that ‘oceans are under pressure due to climate change, overfishing and waste pollution. To ensure the future growth of the ocean economy, we need to harvest resources in a sustainable way’. The Executive Secretary Vladimir Ryabinin of IOC of UNESCO also are very looking forward to REV: ‘It is exciting to know that a newest and most advanced research vessel will soon ply the global ocean and that she will be available to host scientists from all the world, especially from developing countries’. 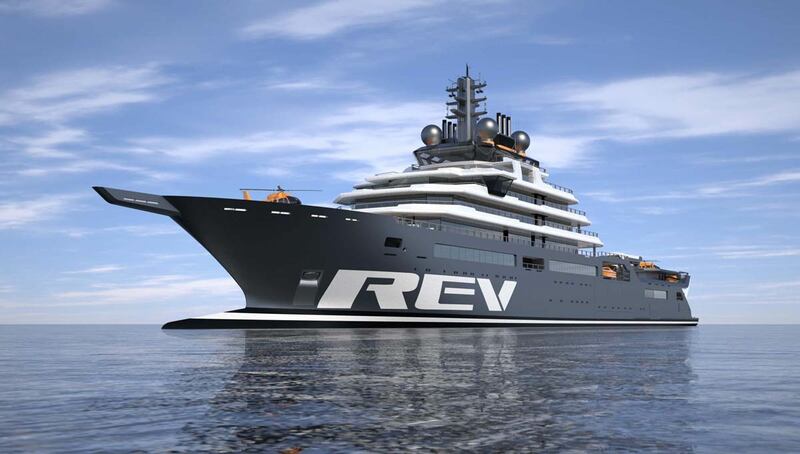 REV is a unique vessel: is designed to operate in remote and vulnerable waters for long periods without additional external support, the ship will be equipped for research and investigation of the entire marine ecosystem. The ship has the range and equipment to explore, document and collect. It also applies the Polar Code adopted by The International Maritime Organization for ships operating in Arctic and Antarctic conditions and can operate autonomously for 114 days. Depends on request of the project the capacity of the ship is up to 90 persons total including passengers, crew, scientists. 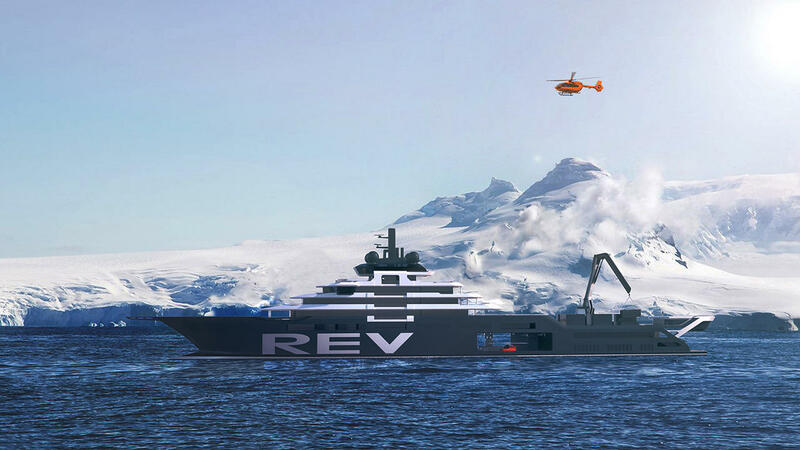 Designed by famous Espen Øino, REV is tailored for research and expedition activities. 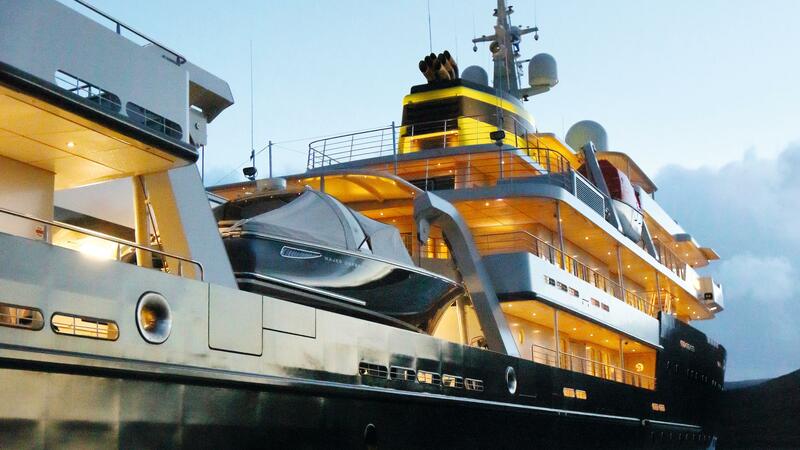 Her robust exterior lines and modern features ensure she is able to cruise in arctic and tropical areas alike, with a hull built to ICE PC6 for navigation in ice. Two helipads can host drones and helicopter, while overhead cranes can lift and launch equipment weighing up to 20T over the side. Her drop keels enable echo sounders and sonars to be placed in undisturbed water below the hull for research of the world’s ecosystems, and built into her stern is a trawl hangar and pelagic trawling system. 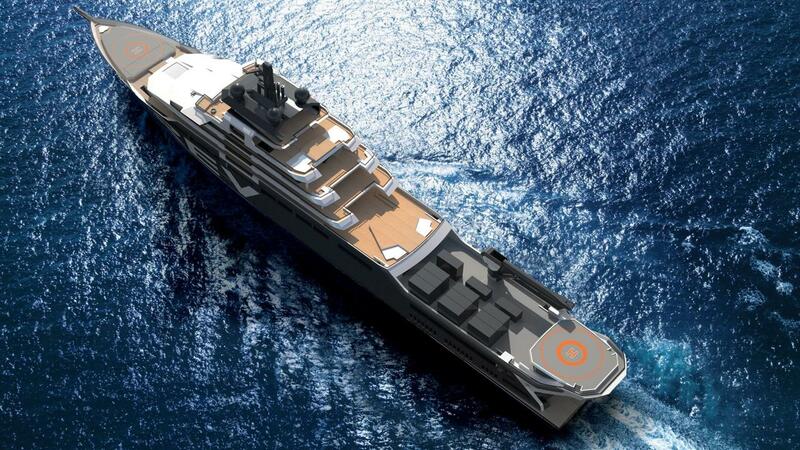 Built to the highest standards for both expeditions and recreational purposes the ship includes such features as a hospital with a medic cabin, High-tech equipment to monitor and survey marine areas, currents, the seabed, fish and plant life, while cutting-edge laboratory facilities enable onboard analysis. There will be an auditorium for lectures, and the capacity for live streaming, also a Moonpool, an eco-harvesting system for live catch and release of biomass and pelagic samples, and an underwater hydrophone system for listening to ocean mammals.